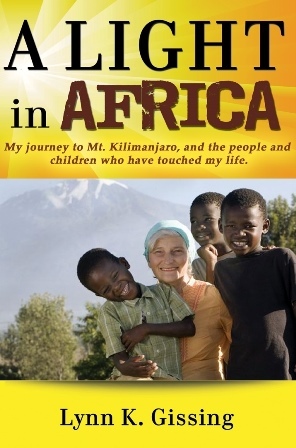 Lynn K. Gissing, founder of Light in Africa, has been operating children’s homes and outreach programs in the Kilimanjaro and Manyara Regions of Tanzania since 2000. Lynn's first book, A Light in Africa, chronicles her journey, telling stories that span the broad spectrum of human emotion. She writes of the challenges of selling all she owns to pursue her cause; the miraculous healing of a child who could not walk; and the struggles of watching the suffering and death around her.